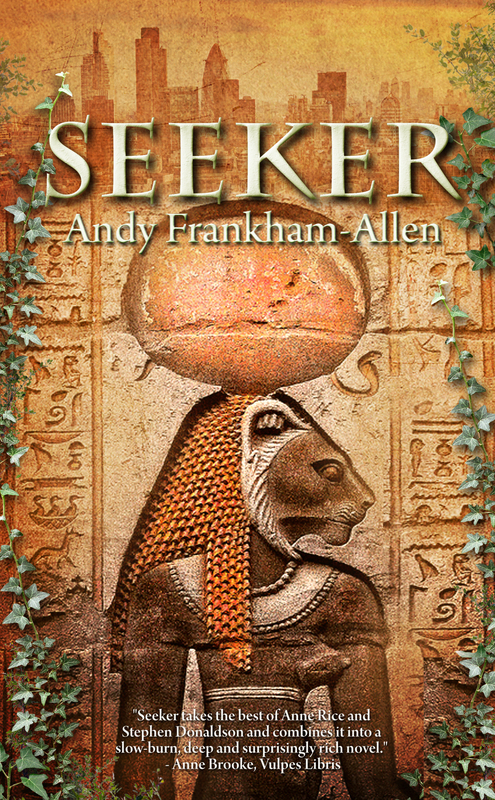 It’s been a week since Seeker was launched and I hear sales (both print and digital) are doing quite well. It’s quite an exciting time, really, with many comments coming my way like ‘it’s worth way more than £10’ and ‘an exceptional fantasy novel’, and my all-time favourite so far, ‘this pulls you into it, better than Twilight.’ A phrase I will never tire of hearing. 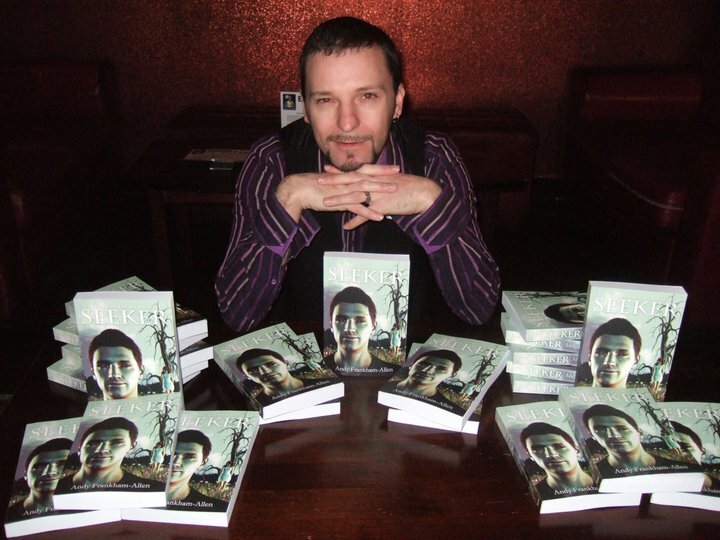 My publisher and I are currently working on setting up a few signings across Wales and England, and I’ve been invited to a signing in Ireland, too. No dates as yet, we need to wait until the book is properly on the system (which takes a couple of weeks), and then we shall see. I’ll announce the dates as and when I get them, of course. The launch itself went quite well, I thought, although it began for me the day before. Saturday 19th March; I was visiting my sister in Southend, England, one of the main locations of Seeker, and while there I figured I’d drop a few promotional posters off. One such place is a small coffee shop called Cafe Reviver, run by a friend of mine called Gary Willis. While there, Gary offered the use of his cafe as a place to do a signing – an offer I intend to take him up on later this year, most likely in the summer. So if you’re in Southend during the summer, look out for this bearded chap sitting outside a cafe on Queens Road surrounded by books. From there I popped into the Halfway House, a former place of employment and also a location used in the book, to drop off another poster and catch up with some friends. There I got into a conversation with a former-customer of mine, Linda Knights (all the time I worked there and I never knew her name), in which I discovered both she and her father, Charlie, love reading. They got quite excited about me releasing a book, and promised to pick up a copy as soon as it hit the shops. So, I consider the trip to Southend successful. After my brief visit to the Halfway I was picked up by my very good friends Ryan Hunter and Ben Theobald (who were travelling all the way to Wales just for the signing – that’s dedication! ), and began the long journey back to Wales; a journey which proved to be rather amusing, especially when, by the time we reached the toll booth at the Severn Bridge, the three of us we bouncing and singing along with Christina Aguilera and ‘Fighter’. I looked at them, laughed, glanced around at all the other cars and said, ‘can you spot the gay car?’ Shame on us! The actual launch took place on the Sunday, March 20th, and I have to admit that during the lead up to it the nerves were beginning to set in. Ryan, who was to do a reading (maybe!) thought he’d be nervous. Ha! He had the easy part. We arrived with plenty of time to spare, and after a bit of faffing around regarding parking meters, we met Tim, head honcho of Hirst Publishing, to help him carry boxes of books to the venue. Boxes of my book! What a strange feeling. As soon as we got to his car, Tim ripped open a box so I could finally see my book. And it was awesome! Everything up to this point (the short stories published in the official Doctor Who anthologies, the eBooks, even the proof beta-copies of Seeker) – everything! – paled in comparison. Finally, after many long years I was holding the fruit of my labours. Not only that, but the summation of the dream I’d had since I was sixteen. And yet, somehow, I managed to contain my excitement. I was intent on not being some excitable geek, but rather the seasoned author. Calm, collected, reserved, and maybe, just maybe, a little cool. 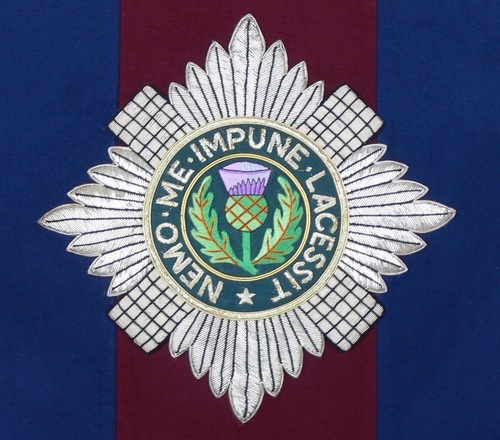 The venue was the King’s Cross Bar, and the staff there were incredibly helpful. Setting up the stage, complete with hanging chains, and allowing me to reorganise their tables (which we did put back when we were done!). Flyers were already on every table, just to inform those who came for breakfast. We arrived plenty early, which did mean a lot of waiting around, and an anxious publisher who wondered how many people would turn up, and when, and what time should we start and… yeah, you can imagine. Me, I just took it all in my step, after all we did have plenty of time and there was no immediate rush. Slowly, but surely (as the saying goes), people started to arrive. 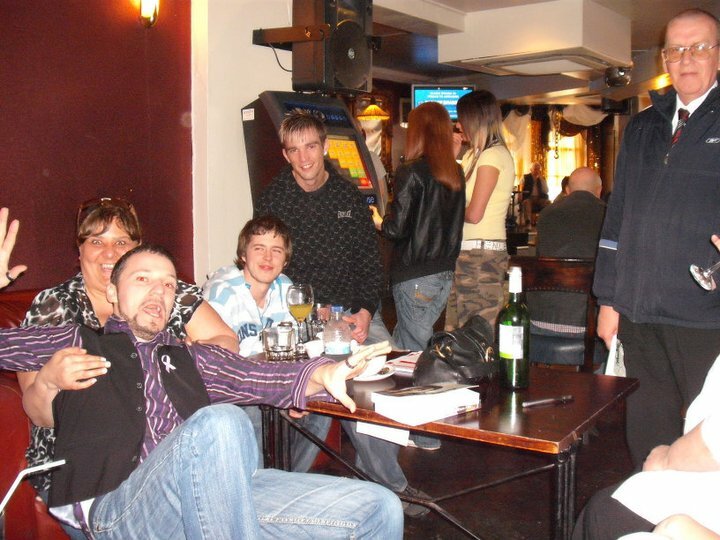 Primarily there were many I knew, friends and family invited, but there were plenty of others, too, just general visitors to the pub who were a little curious as to what was happening. Alas the first potential disaster struck near the time of the ‘event’, when I discovered that my cousin could not make it to do her reading. It bothered Ryan more than anyone, though, as he didn’t like the idea of doing one alone, so I managed to persuade Jolene Ferries to read the piece my cousin was due to read. Problem solved, disaster averted. She leaned in closer and whispered his name in his ear. Sam reacted with a start, his movement so sudden that Lilly almost fell over, but she regained her balance in time for Sam to rip off his glasses and point at the mirror. ‘It’s you!’ he shouted, then staggered backwards. Lilly moved quickly to steady him. He blinked a few times, and looked around wildly. For a moment he just looked at her, and the hatred written over his face made her heart ache. Whatever he was seeing, or whoever, had caused him so much pain. She placed her palm against his cheek. Before she realised she was going to do so, Lilly tiptoed and placed her lips against his. At first there was no response, but slowly Sam’s mouth opened and their tongues met. For what seemed like an eternity they remained like that, their tongues gently probing the other’s mouths, but then pulled apart. ‘It’s almost seven,’ Lilly pointed out, nodding to the carriage clock on the mantle. Ryan may think he was nervous, but it never showed, indeed Ryan received a round of applause for his reading. 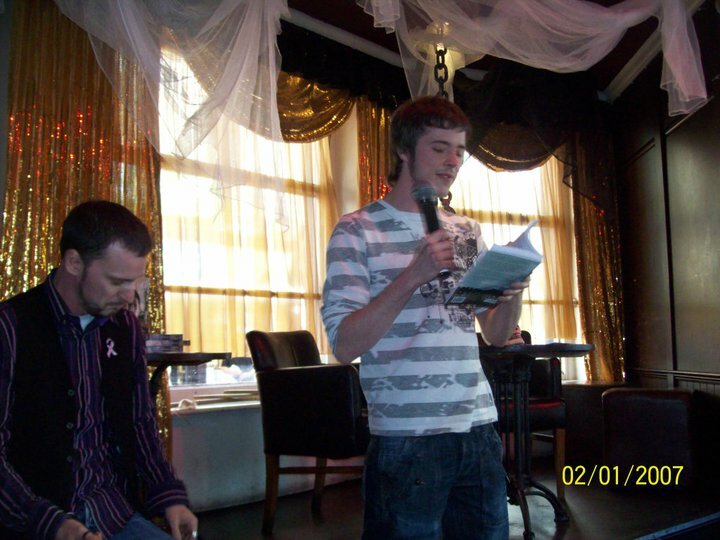 Then it was time for James Gent and me to take to the stage. James was also nervous and, although I shared those nerves initially, as soon as I stepped on the stage my nerves blinked away. 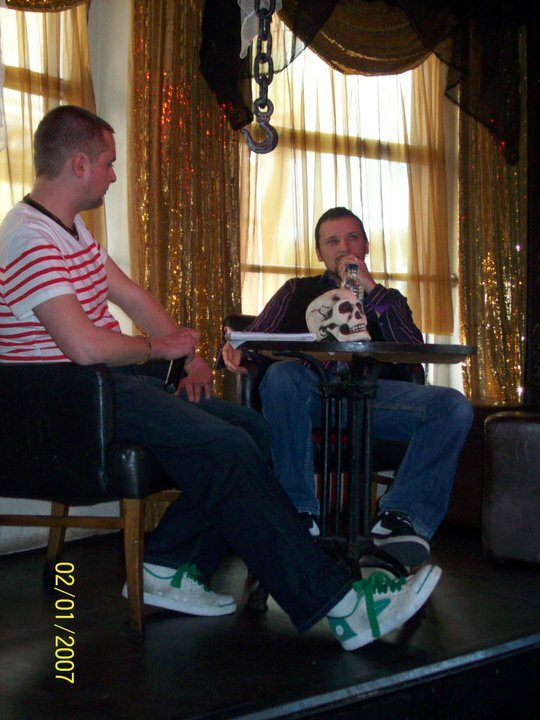 In many ways I like to entertain, and so I sat down, relaxed, raised my mic and just got on with it. Intent on making sure people understood a little something of Seeker and keep them amused, too. Which I think we did a pretty good job of. James asked his questions, I answered them, talking about the themes of sexual identity, and how in many ways the two leads, Willem and Jake, are flip-sides of the same character. We also discussed the difficulties of re-inventing vampires, and promised there’ll be no sparkling in ‘The Garden’. By the end of the discussion I think it’s fair to say that we got across the point that Seeker ‘is good’. The rest of the launch was taken up by people mingling, enjoying the sun, me sitting at the table signing books (we went through a box of twenty in total), and sending Ryan and Lisa out to blitz the streets with flyers to let people know that Seeker exists. They even nabbed one or two people outside Waterstone’s. Just as I was about to wrap up for the day, a girl in yellow came over, and bought a copy for her nan, who apparently likes ‘books like this’. I’m hoping so, otherwise it’s a nan who’s in for a bit of a shock. The launch ended with some fun pics of the the remaining group, and my tipsy mother who managed to down a whole bottle of wine in an hour. People keep on asking how many books we sold that day, and I keep pointing out that it wasn’t a sales drive, but a launch. It was all about getting the book out there, making people aware of its existence, and this we did. With the help of freebies from Rainbow eBooks, a prize in the shape of a Rubik’s Cube, and free wine, we managed this in style! So, big thanks to all that came along. It’s been a week since, and already one shop is stocking the book; The Comic Guru in Wood Street, Cardiff. Sales are doing very well; I went through a box of twenty books myself in two days, and I know that Hirst have received a fair few orders since, not to mention a ‘bunch’ of sales for Seeker in the first two days at Untreed Reads. 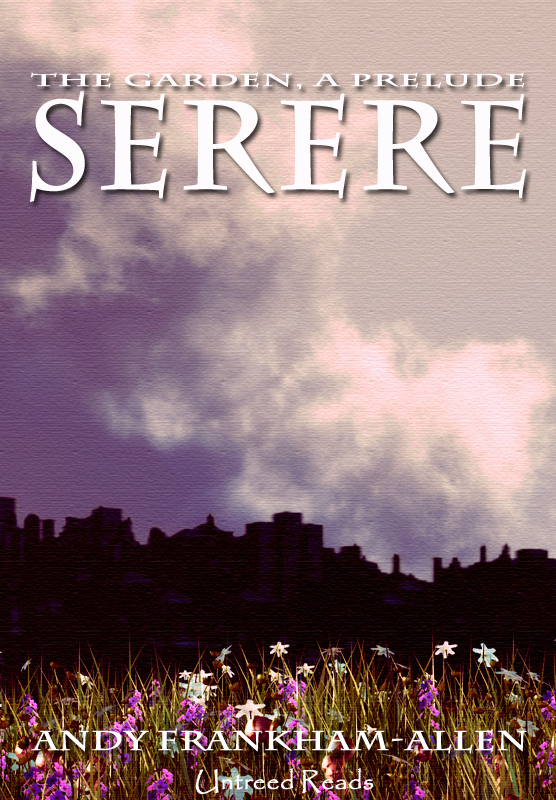 If you’re looking for a decent read, then you could do a lot worse than checking it out directly from Hirst Publishing, or Untreed Reads Publishing (if you buy the eBook from UR, you can get the exclusive prelude, Serere, free). The digital edition is slowly appearing in the listings of most e-stores, and the print version will soon start appearing in all good book retailers. Until I have signing dates and locations to announce, why not pop over the to blog, The Accidental Author, and read Jesse Greever’s interview with me, where I discuss the writing of Seeker and a little of what’s coming up. Followers of this blog will remember how I said right at the beginning that I am rubbish at keeping up with blog entries. I think it’s fair to say that a gap of three months is all the proof needed. Although, in my defence, I have been very busy in the interim. Thus, this entry will be a bit of an update, bringing all you lovely readers back up to speed on where things are with my various projects. Meet Willem Townsend: London-based entrepreneur; loyal friend; loving uncle. He seems to have everything going for him, but deep down Will is trapped by work, family, and the sheer mundanity of daily routine. Stepping outside his comfort zone he begins an internet romance and, despite the reservations of his best friend Jake, Will arranges to meet his lover for a weekend getaway. The weekend passes, and not a word is heard from Will. Jake organises a search for his friend, fearing the worst, and as Jake’s frenetic hunt progresses, he begins to realise that Will may have meant more to him than he was willing to believe. Which brings me to, ‘Serere, A Prelude’. Isobel Shelley waited, as she promised she would, but it was getting dark and the rain had started to fall. Not that either thing bothered her personally, but it was terribly inconvenient. She lifted her lantern, which she did not really need, of course, but appearances were important, and looked out to the northern carriage way. The Green was quiet, most people safely indoors, sheltered from the cold, but Isobel could not be sure she wasn’t being watched. Newington Green, home to the free-thinkers and dissidents, had history, and the people who tended to gravitate to this place knew better than to take things for granted. Probably one of the many reasons she loved living on the Green. The sound of hoof beats crunching gravel drifted over to her, and she focused on the approaching shape. A gig pulled by a single horse, two people jostling about in the carriage as the wooden wheels managed to find every ditch and trough in the path. Both figures were dressed in the finest cloth, one looking down, his head bobbling about as if he were asleep, but the second, holding the reins in his hands, was looking firmly ahead, mindful of the mood of the horse. The gig slowed, and stopped right next to Isobel. She smiled, finally able to see the countenance of the young driver. “As you wish,” Isobel said and tuned away, lantern still held aloft, and led the way across the Green. 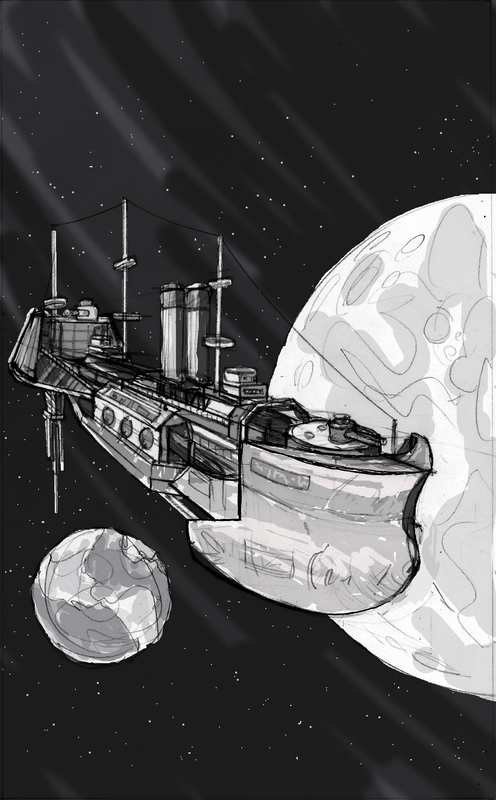 Next up, although announced elsewhere, I can finally announce it to all those who read this blog; at the end of 2010, after much hard work and much discussion, Untreed Reads Publishing have secured a licence to produce original eBooks based on Frank Chadwick’s Space 1889. 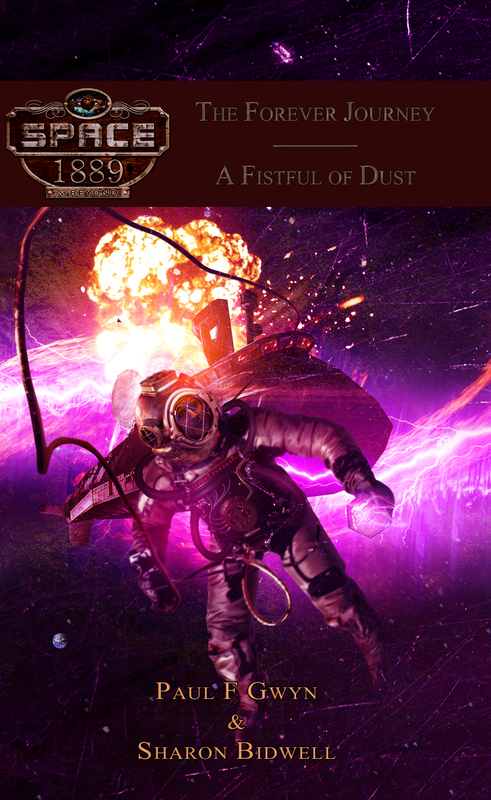 This steampunk series will consist of two novels which bookend four novellas, written by well-known genre authors. I am the series Commissioning Editor and Creative Consultant, which means I’m responsible for putting the whole thing together. Quite a task it’s proving to be at the moment, but amazingly good fun, too. Further information will be released over the forthcoming months, including a definite launch date. Due to the busyness of me, this does have a knock-on effect on Legacy which was being released at one book a month. So far three volumes are available, and can be purchased here, with all proceeds going to Cancer Research UK. Volume 2.2 will be delayed a little while, but as soon as I have time in my schedule I shall get on to it. Once again, I will keep you updated on developments there.